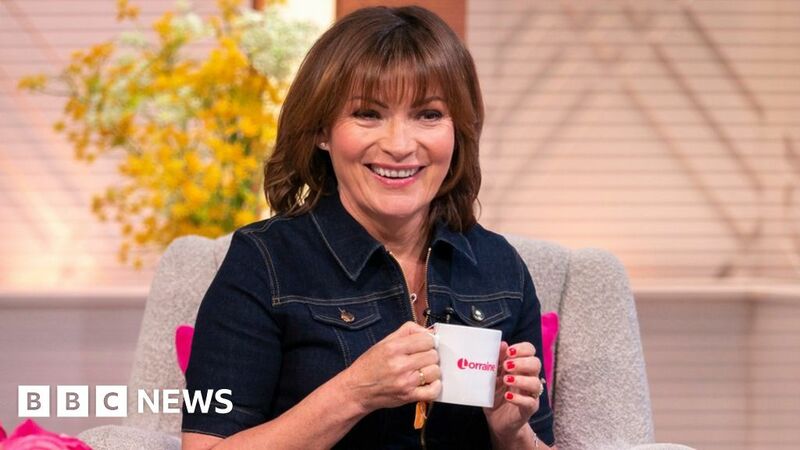 “Lorraine Kelly is one of the most ruthless people you’ll meet in the business,” joked Piers Morgan on Good Morning Britain last week. Morgan’s joke, which he made the day after Kelly’s win at the TRIC Awards, was funny precisely because it was the opposite of the Lorraine millions of viewers know and love. In fact, her warm, likeable TV persona is the very reason so many of us were fascinated by a tax ruling involving Kelly on Wednesday. As part of a dispute with HMRC, Judge Jennifer Dean ruled that Kelly is playing a particular version of herself on air, which means she could be considered a “theatrical artist”. “She may not like the guest she interviews, she may not like the food she eats, she may not like the film she viewed – but that is where the performance lies,” Judge Dean said in the ruling. So has Lorraine Kelly, a gold-standard national treasure, been fooling us all? Is she, in fact, a horrible person, who has gone through life being secretly nasty to everyone, just faking being nice for the one hour she’s on air every day? This whole case boils down to something much more boring – basic tax law. For various reasons which we’ll get to in a minute, Kelly has argued she should effectively be considered a freelancer rather than a direct employee of ITV. But part of the judge’s ruling picked up on the point that she is more of a performer than a standard employee. That has raised issues about the personas that celebrities create when facing the public. “Lorraine’s value to ITV lies in the image that she’s created and her emotional appeal with audiences, and that brand value can easily be taken to other channels,” says Jeetendr Sehdev, celebrity branding expert and author of The Kim Kardashian Principle. Photographer Andrew H Walker explored this very theme in a series of portraits taken in 2016. At the Toronto Film Festival that year, he asked some of the stars in attendance if he could photograph them – twice. In one shot, he’d ask them to pose as a way they would act in front of the public, while the other would reveal a side we don’t normally see. “I was really curious with actors, because they have… a public persona that they put out there, and they also have their private self,” Walker told Mashable. The issue of public personas often crops up in the world of hip-hop, where many rappers are reliant on portraying a tough, gangster image. Earlier this year, it was revealed rapper 21 Savage, whose brand and lyrics centre on the years he spent growing up in Atlanta, had actually been born in the UK, where he lived for the early part of his life. Last year, when Tekashi 6ix9ine was indicted on six counts including firearms and racketeering charges, his attorney argued that the fact the rapper was “an entertainer who portrays a ‘gangster image’ to promote his music does not make him a member of an enterprise”. But unlike actors, musicians or authors, who have the option to hide themselves behind their art, TV presenters in particular are reliant on their own personalities for their jobs. It’s usually necessary for them to come across as warm, likeable, sympathetic and entertaining all at once. “I’m an actor, playing the part of a presenter,” Matt LeBlanc told BBC News last year. “So is it really me you see on Top Gear? Probably not. As an actor by trade, LeBlanc’s case is obviously different to Kelly’s, but to some extent, all TV presenters have to do a bit of this kind of acting. In Kelly’s case, her warm persona has endeared her to viewers for decades – and seen her achieve immense success. Just this week, she was given the outstanding contribution to British television prize at the RTS Awards. We all arguably have multiple versions of ourselves which we present in different situations. You’d behave differently at work to how you would on a night out, for example. And in many sectors, doing so doesn’t affect our employment. But Sedhev says it’s slightly different when it comes to high profile figures. “The value of brands now are infiltrating all areas – from business to healthcare to technology,” he explains. “We see that with CEOs, whether it’s Elon Musk or Mark Zuckerberg and Sheryl Sandberg – these are different types of leaders. They are a brand, first and foremost, that stands for something and there’s an enormous amount of value in that. However, Rahul Batra, managing partner at Hudson McKenzie, specialists in media and entertainment law, says the Lorraine Kelly ruling has little to do with the issue of public personas which has been picked up on by news outlets. “Where the ruling talks about Lorraine Kelly being a brand, that’s not to do with media law, but tax law,” he tells BBC News. Kelly’s employment status, he explains, is important only because it impacts on how much tax she is due to pay. Given that she also presents TV programmes for the BBC and releases her own fitness DVDs, it would be wrong to say she is a standard employee of ITV. “Suppose Lorraine Kelly earns a million pounds a year, and she has an agent who takes £200,000. That £200,000 is tax deductible, so she’d only be liable to pay tax on £800,000,” Mr Batra says. He adds that, because of IR35, the UK’s anti-avoidance tax legislation, this is something that occurs in every industry – not just in the celebrity world. “It happens a lot with IT contractors… in fact, anybody who’s a contractor in the UK gets muddled up in an HMRC inquiry at some point in time,” he says. James Hender, partner and head of private wealth at Saffery Champness, points out IR35 for the private sector is due to take effect from April 2020, meaning there’ll be more disputes to come in this area. “It’s likely that we’ll see many more cases like this over the next few years as both HMRC and taxpayers seek to get to grips with this rapidly evolving area of tax law,” he said. The reasons for the ruling might be much more technical than many first imagined. But we also secretly hope Lorraine really is a massive diva.